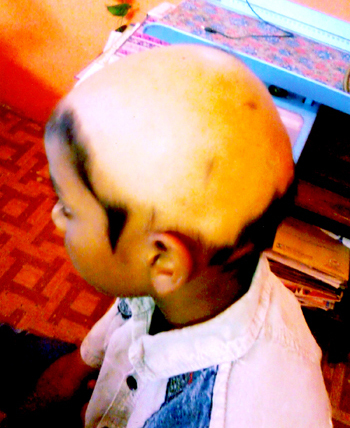 A boy aged 9 years, presented with loss of hair in the scalp and history of falling hair since 6 months. 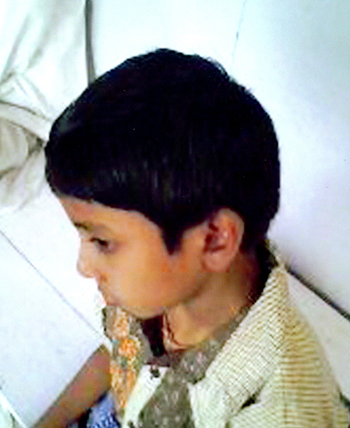 A small patchy hair loss extended and covered the major portion of the scalp. He also had headache and bed wetting. H/o Pneumonia and took allopathic treatment. Desires: Desires hot and Salty food. Echinacea Q for external Application. Growth of the hair started and feels better. The picture of the illness matched the remedy Natrum Mur . His emaciated frame also constitutionally guided me to prescribe the drug. Here Echinacea Q was used externally as an auxiliary treatment and expedite cure. Finally I prescribed Tuberculinum to prevent the further recurrence.